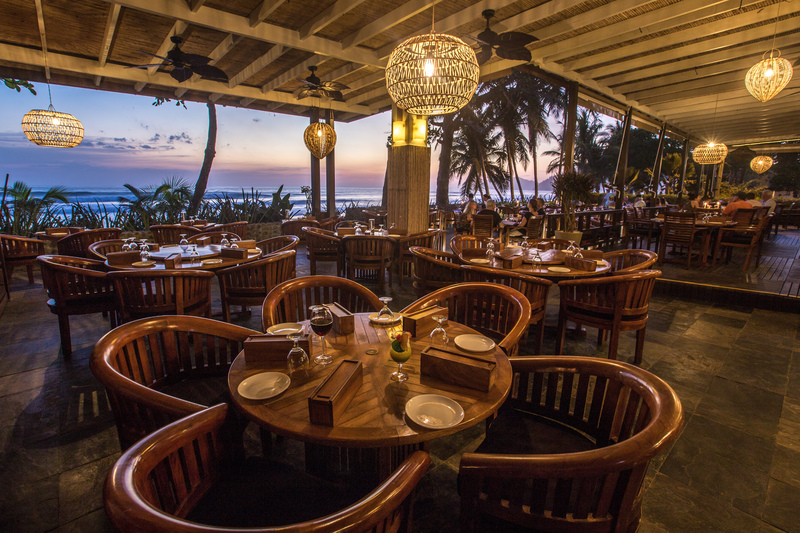 El Hicaco Restaurant, located in Jacó Beach is a beautiful place where you can enjoy a beautiful sunset and a delicious meal at the same time. You will please every one of your senses…perfect view, nice music and delicious food in just one place. El Hicaco Restaurant, located in Jacó Beach is a beautiful place where you can enjoy a beautiful sunset and a delicious meal at the same time. You will please every one of your senses…perfect view, nice music and delicious food in just one place! El Hicaco Restaurant since 1978 serving the best seafood in town. Potato and fish croquettes with tartar sauce and avocado sauce. Best of the sea delicious combination for seafood lovers, seabass fillet, jumbo shirmps and the best lobster tail. Chicken breast hamburger served with onion rings. Tenderloin beef hamburger served with onion rings. Seabass fillet in a salmon wrap filled with shrimps and peach palm fruit sauce. To choose from chicken or seafood with cashew seeds sauce. El Hicaco Restaurant, located in Jaco Beach is a beautiful place where you can enjoy a beautiful sunset and a delicious meal at the same time. You will please every one of your senses...perfect view, nice music and delicious food in just one place! Our speciality is the Seafood, we have the best Lobster Dishes in town such as Termidor Lobster, Lobster Cream and of course Grilled Lobster. Come and enjoy a good wine in our beach front terrace and spend some time while you listen to Lounge & Chill out music.